This is a beautiful balayage working from a dark natural base into silver highlights. 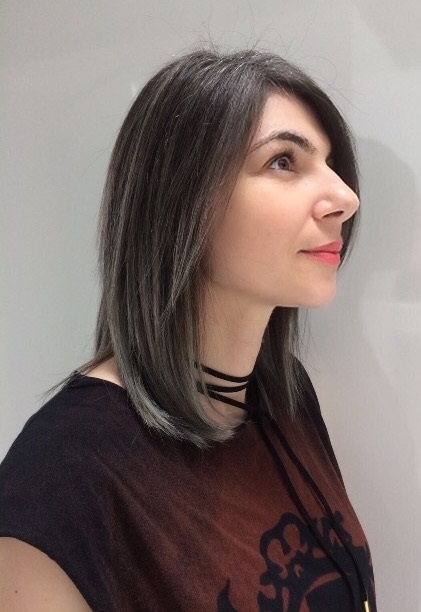 Theas client had started to grow out her highlights and wanted to achieve a balayage look where the silver hair is being faded out from her dark natural colour. This type of colouring gives an easy upkeep as you will not have roots appearing. Its effortless and and compliment her midlength hair or lob!